Parking is located on the south side of the facility, with entrances on the south and east side. A concessions stand is centrally located within the park. 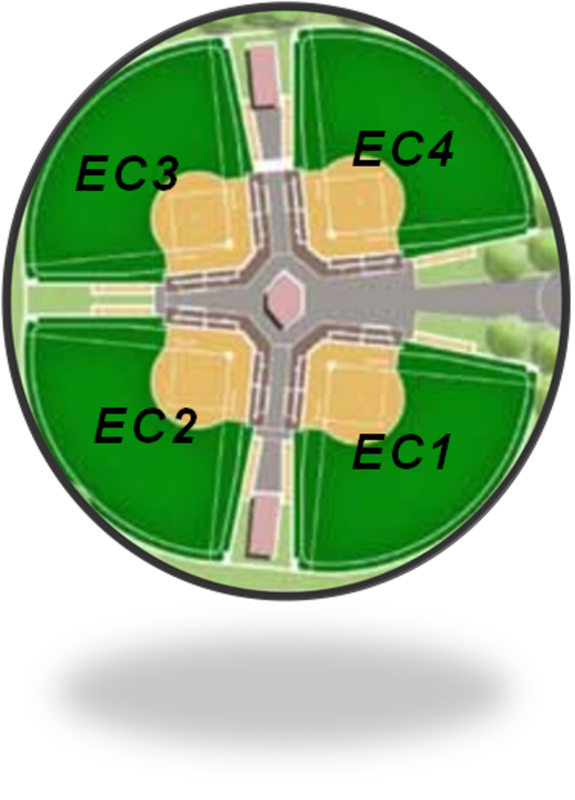 The calendars on this page allow coaches and other users of the Energy Capital Sports Complex fields to see the availability of the individual fields. If you would like to schedule a practice or other event at the fields, see the scheduling instructions on the following page. Please ensure that your scheduling was successful by verifying the event shows on the appropriate calendar on this page. Practice schedules for non-GGFA teams will be scheduled out 1 week in advance unless given permission otherwise by GGFA . Schedules and schedule help is on our website, www.gillettefastpitch.com. Practice slots will be open until each field and/or cages are full each week. Practice slots are 4, 5:30, and 7 on each field. Field times do not include batting cages and, they will have their own scheduled times once everyone is on board with the calendar. Day time slots are open at a first come, first serve basis. We are working on a way to get the fields open on weekends for use also. On Monday of each week, teams not already given permission to schedule practices may schedule two-time slots for each of their teams, for the up-coming week. On Wednesday of each week, the schedule opens for any team who wants to pick up another practice or two. (Please be respectful of other teams). This is open to each and every team, so make sure to get your practices scheduled weekly. Our goal is to make sure every field has teams on it every night. Any practice scheduled, and you cancel or can’t make your intended slot. CANCLE it on the calendar please. Failure to show up to scheduled field times 2 different occasions, without clearing the schedule, will result in loss of field usage. By scheduling one week in advance throughout the season, we can open up the fields easier for games and double headers. Fields needed for games need to give a 2-week notice so we can rearrange practices and ensure field availability. Games do have priority over practices, so your practice may be bumped or moved. This should not happen to anyone but GGFA teams if we follow the 2 week schedule. The north and south cages will be open to reservation in 1-hour increment starting at 4pm each weekday. Teams may pick up batting cage times in addition to field time. Three 1-hour slots may be schedule during regular scheduling times outlined above. Opens on Wed for more extra time slots if need. Cancelation rules are the same as above. Travel teams will get their schedules filled out 16th of March for entire season. Spring League teams will also have their practices scheduled by the 18th of April, for a total of 3 slots including games. Spring League games will be on two fields Monday and Wednesday nights.